It's a British sci-fi sitcom, that ran 8 seasons between 1988 and 1999. 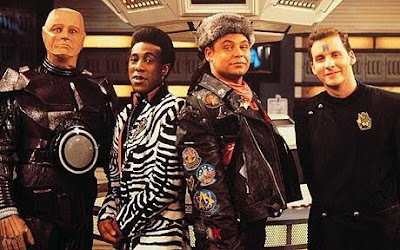 It's set in the future and revolves around Dave Lister (the last human in the universe) played by Craig Charles, Arnold Rimmer (a hologram of his dead bunk mate) played by Chris Barrie, Kryten (an android) played by Robert Llewellyn Cat (a humanoid feline, that evolved from a cat) played by Danny John-Jules. I know it looks lame (it's suppose too) but it's so funny. It's one of those shows that has you quoting lines from it months after watching it. And it's a show that I can watch over and over again (which for me is quite rare) so if you haven't seen it, go to your local Blockbuster (did you see the plug??!!!) and find it, or download it, I don't care as long as you watch at least one episode. 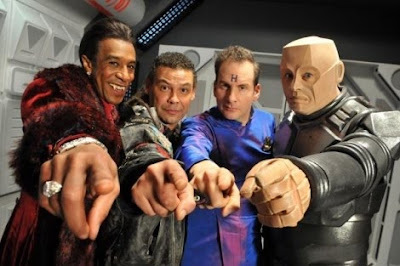 In 2008, they released a 3 episode series, entitled Red Dwarf: Back To Earth, which was strange. It honestly confused me. It was out of line with the end of series 8, and it involved the characters on earth trying to find their creators. It was one of those lame "we probably should try and finish the series so fans don't get pissed at us" sort of things. 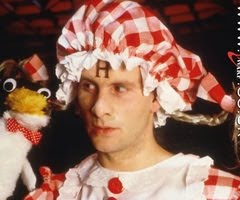 It was just weird, because everyone was 10 years old and the episode quality was very "swoosh" it just didn't fit in.